One of the biggest issues with Dishonored 2 wasn’t anything to do with gameplay or design – it was the technical issues some players were having. They ranged from stuttering and other framerate issues down to mouse problems that made the game unplayable. While the team worked hard to patch and fix these issues, it was still a black mark against the game for many people. Will Dishonored: Death of the Outsider have those same issues? Want a new PC game? Here’s the best PC games you can go buy and play right now. 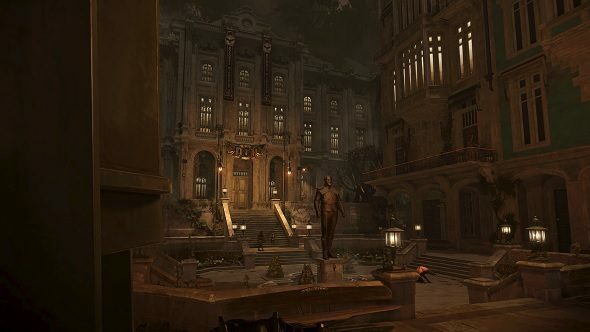 We asked Harvey Smith, co-creative director for Dishonored: Death of the Outsider, about what lessons the team have learned from Dishonored 2’s technical issues, and how Death of the Outsider will perform. Thankfully, Smith is very confident the game is running well. Why is it so hard to get the game running so well, then? On top of having to optimise for all sorts of hardware combinations, Smith says a game like Dishonored: Death of the Outsider has a lot of tech under the hood that affects things. Sound, especially – running simulations for sound propagation and then causing AI to react accordingly is a challenge, especially in a densely-packed world. Death of the Outsider, the standalone expansion to the Dishonored series, is coming out September 15. You can find out more about it on Steam. Did you know, one of the writers was hired for her stellar tweets?